This week i repeated the cayenne and neem treatment again using the hemp oil. I didn’t pre-poo with the oils overnight like i usually do. I don’t know why exactly, i guess i just couldn’t be bothered and… my hair was oily enough anyway (can you hear the excuse, lol). This morning i made the paste again using only 1 tablespoon of oil and again applied in sections. I left it on for more than 30 mins i think as i was pre-occupied with other things but i was subconsciously monitoring how my scalp felt. I shampooed using the Ikove Amazonian avocado and acerola shampoo. I went section by section (as i always do) taking down the twist, rinsing thoroughly making sure the water ran clean before shampooing. I did a double shampoo before applying the conditioner to rinse out as i noticed the foam was quite red. I did this by applying a good amount of shampoo to the section massaging it through until it was nice and frothy. I then squeezed off the excess shampoo and then applied more shampoo onto the section again massaging it through the hair and really making sure the scalp was clean. I squeezed off the excess and then applied a small amount of Herbal Essence Hello Hydration to the hair before rinsing. I then detangled by slopping on my Herbal Essence’s and combing through gently after which i used my Denman to get rid of any shed hairs that may have tangled up in my hair. I repeated this for all sections. I deep conditioned using Ikove Amazonian avocado and babaçu conditioner, mixed with honey and olive oil. All in all i left this on for about 45 minutes before giving my hair a final rinse with cool water. My hair wasn’t ‘butter soft’ like it was last week but i’m still super pleased with it. It seems the cayenne, neem and hemp oil mixed with the Indian herbs really made a good combo. As for the growth stimulating effects of the treatment… I can’t really see any. My hair at the nape is at an awkward stage where it’s quite fluffy so it’s hard to tell whether there is any progress there. Really, i should have taken pics of my nape before and after to compare the end results. That’s a slap on the wrist for me. Next week will be my last cayenne treatment. I might try the onion juice treatment for the next four weeks after that and document the results. I’ll defo take pics of before and after to really see whether there has been any progress. My next posts will be about the benefits of Neem and also of Onion Juice. You have done it once again. Great writing! 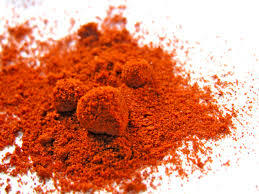 On your 4 week of the cayenne pepper treatment you never stated how you felt that it worked or not. I am starting my natural journey with this treatment and I wanted to know how you thought it worked for you. I’ve did a lot of research and I am very excited to get started. I have been wearing weaves for 26 years and ready to see the real me! Love your hair care notes! Keep them coming!